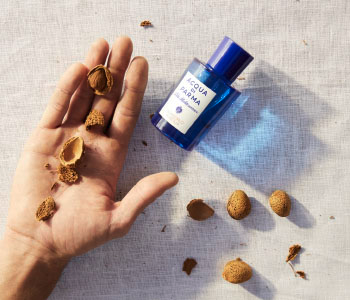 Experience the beauty of the Med with the Acqua di Parma Blu Mediterraneo Mandorlo di Sicilia fragrance. Its inspiration is splendour combined with a breath-takingly beautiful landscape which, apparently unaware of its effect, offers itself uncaring to the viewers gaze. The Mandorlo di Sicilia range has a caressing effect has been designed to spoil and pamper you with cherished moments of gentleness, with essential oils of almond, lavender, bergamot and orange.